The following is not science. It is a series of recent thoughts about behaviors I have observed in people that are hurtful to others, and themselves. Some are narcissistic, others might be. Take a moment. There is something here for you to consider. First, a 4-question exercise you can try on your own before doing with others. (I word the questions for a group.) Please proceed carefully, respectfully, and empathetically. Because people perceive narcissists as “bad,” and that narcissism is a behavior of other people, not themselves. This should bring some discussion, with a combination of laughter (nervous?) and scorn. Do not take sides. Let people have their views. This is not an exercise to judge others, although it may seem to be. After people explain what they understand to be narcissism, it can help to explain a third party meaning because too often people do know how a narcissist has been defined by professionals. Most of the time the narcissist slur is an exaggeration that is unfair and inaccurate. The truth is, narcissism is not an all-or-none characteristic. Everyone has some narcissistic behaviors. Narcissism in small degrees can be healthy. It can give us the strength to overcome low self-esteem, improve productivity, fuel ambition, and even drive our motivation to sincerely care for others. There is a bigger concern, which rarely occurs. This is when someone has narcissistic personality disorder, or “NPD.” This is the opposite of a touch of narcissism. Hopefully, people are relaxed and there are some laughs. Do not force anyone to agree they have narcissistic behaviors. It may be difficult for some to admit. How many narcissistic behaviors does the person have? How intense is each narcissistic behavior? What is the frequency in which they demonstrate these behaviors? 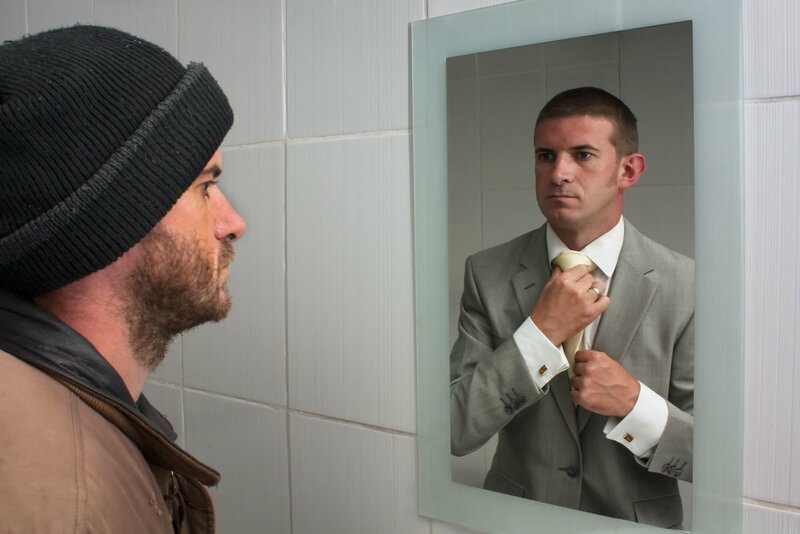 Understanding narcissism correctly is important for your company culture. This is why I am discussing narcissism today. Do a self-check. Are your narcissistic behaviors reasonably healthy, or do they create regrets in your life? Test these 14 questions alone or with a trusted friend. Then, if you are comfortable with it, you can introduce this entire discussion as an opportunity for a group to consider how well they work together and serve your clients. #1 - When you feel threatened, does truth become relative? To win the situation, do you withhold information, apply partial truth, or act dishonestly? Do you not feel safe to be candid or vulnerable with the truth? #2 – Is there any area in your life where you have double standards, i.e. you have a higher standard for someone else than for yourself? You may have a strong sense of right and wrong for other people, but the rules you apply to them do not always apply to yourself. For instance, do you require your employees to enter all their billable time daily, but you do not? Do you demand that other people arrive on time, finish on time, and deliver on time… but you are inconsistent? Do you tell others not to gossip, but you do? Are you quick to judge others, particularly negatively? Do you add your own negative comments or quickly agree when others disparage someone else? #3 - People say that you said or did something, but you deny it. Possibly, you even fully believe that you did not say or do it. Or you just do not want to admit it. However, this has happened multiple times. Can they always be wrong? Or, do you have an issue with truth, memory, and/or feeling safe admitting mistakes? #5 – You do nice things for other people because it makes you feel good and/or helps you look good to others. That is the primary focus behind your motivation, not to help them. You tell others about how you help other people. Although helping others should feel good, you’re bragging, not serving. #6 –You take advantage of other people. You may ask them for support that you do not provide in return. You may say half-truths to get them to do something they would not if they had the full picture. #7 – You can get angry quickly. Those triggers are often connected to wounds that have not healed. #8 – You are a survivor. There been times in your life where you had to dig out of a hole, get out of a tough situation, beat an addiction, overcome depression, or surpass another significant life challenge on your own. Something required a major commitment from you to reverse a negative situation in your life, even if you got help. It is healthy to feel good about it. It is unhealthy to feel superior to others because of it. Do you brag, or say things to impress others? Look around you. Is most or all the stuff decorating your office or home is focused on your accomplishments? #9 – You push your children hard because their success or failure reflects on you. #10 – When you are winning, you are happy. When you are losing, you are not proud of the way you behave. #11 – You constantly compare yourself to others and perceive them to be better than you. A voice inside you constantly accuses you of “not being good enough.” To compensate for your low self-esteem, you instinctively focus too much energy on the faults of others rather than their positives. #12 – Your dreams are about fame and riches, rather than your accomplishments serving others and your cash transforming the lives of those less fortunate. You achieve the dreams of many people, maybe even your own, but there is little joy. This is often the result of self-gratification. In contrast, millionaires who donate funds to help others through organizations with integrity are happier than earning or inheriting the cash in the first place. (Inc. Magazine article and other studies) Do you feel fulfilled in life now? If you died today, what would you have changed in your legacy? #13 – Do you focus on your rights a lot? Do you feel you are entitled to a raise, promotion, and other rewards of performance before or without being required to achieve? This might be caused by a belief your parents and/or others close to you do not love you. It is hard to love others and feel satisfied when you do not first feel loved. Do you complain instead of having gratitude and patience? #14 – Do you not respect the boundaries of others? They tell you to stop, yet you keep asking questions or doing what you think is right? Have you noticed this behavior does not motivate them to change, but it does hurt your relationship with them? Yet, you continue to disrespect the boundaries of others. Why? All these behaviors are symptoms of a greater disease. Life is about sensing the symptoms and completing journeys to heal the diseases that afflict us. Why did I mention narcissism? Because too many people point the finger at others, exaggerate their flaws, and label them a narcissist or other slur. Most of the time the label is extreme and inaccurate. When a person understands him/herself better than you understand yourself, then that person will control the communication or situation. When a person understands him/herself and understands you better than you understand yourself, they can control you. Watch out for the 14 behaviors listed above. If you or a member of your team struggles with any of them, then work on developing positive habits to overcome them. It takes time, but anyone can develop better behaviors if they commit themselves to growth and work with others candidly on their development.